The yellowing of normally green plant tissue is caused by a decreased amount of chlorophyll in the leaves, this is often a result of disease or nutrient deficiency. 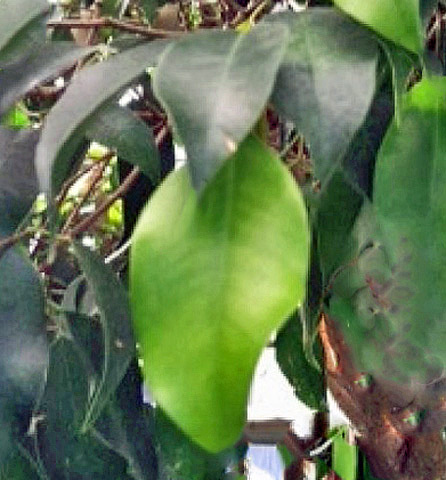 This discolouration of camellia leaves is often a symptom of Lime Chlorosis, but not always, as other factors can also do this. If it is chlorosis this means that there is too much lime in the soil and it is blocking the uptake of iron to the plant. Do a pH test with a DIY testing kit to determine the pH, or send a soil sample to a soil laboratory for analysis*. * Indicate your problem to the analyst and this will ensure that they establish the iron content as well as the pH. Soils with a pH of more than 6.5 can prevent the uptake of iron or manganese. In the short term give the plant/s a feed with an ericacious/acid fertiliser, this may resolve the problem. However, after the soil test you may find that you need to apply a dressing of ferrous sulphate fertiliser to the soil to replenish the iron. An alternative to this is to use a purpose made form of chelated iron in liquid form. Re-potting containerised plants in the correct type compost can sometimes help. Camellias often look pale or chlorotic early on in the year before the soil warms up. Older leaves will yellow and fall naturally throughout the year. Excessive yellowing may be due to water logging at the roots this has an affect on the plant's root function of taking up nutrients. Lifting, improving the drainage and replanting may help. If this occurs with containerised plants, prune out rotten roots and re-pot in fresh compost.